You’ve checked to make sure that your WiFi router is in the best location possible, the firmware is up-to-date and it’s newer technology. But you’re still not getting reliable coverage. The solution may be to get a WiFi extender. Or maybe it’s a WiFi repeater or extender? It can all be a bit confusing. 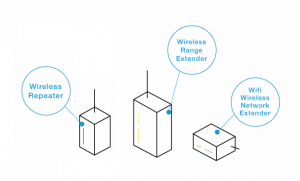 WiFi boosters, repeaters, and extenders are mostly the same thing—devices to improve WiFi coverage. The term WiFi booster was a catch-all phrase for devices that extended a WiFi signal. Most of these devices work the same way. They receive your Wi-Fi router’s signal and then repeat it, creating a kind of a second wireless network that broadcasts the wireless signal further and stronger into the home. There isn’t a clearly defined difference between devices that manufacturers describe as “repeaters” and devices described as “extenders”. It should be noted that not all WiFi extenders work in the exact same way. There are several different kinds of devices available. 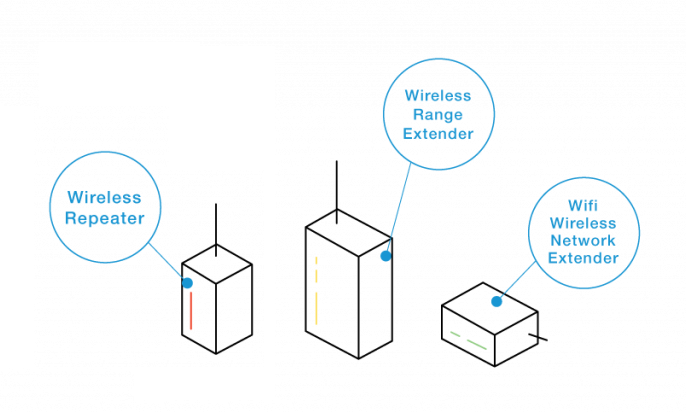 Understanding the differences between a WiFi booster, extender, and repeater can make the task of choosing the best device for your circumstances that much easier.